Derek Bailey (left) at his arraignment in Leelanau County in May with his attorney, Craig Elhart. UPDATE: Today, Grand Traverse County prosecutors charged Derek Bailey with two counts of first degree criminal sexual conduct and with being a sexually delinquent person. Bob Cooney, prosecuting attorney for Grand Traverse County, says, "These are just allegations, but the idea of a sexually delinquent person is that it’s not just a one-time act. Because of repetitive behaviors, the statute is designed to give the court more discretion to fashion a sentence that is protective of the public." The allegations are that Bailey sexually assaulted a girl under the age of 13 on two occasions. The maximum penalty for these charges is life in prison. Grand Traverse County prosecutors confirmed they’ll file charges against Derek Bailey. Bailey already faces five counts of criminal sexual misconduct in Leelanau County. Derek Bailey was a tribal councilor for the Grand Traverse Band of Ottawa and Chippewa Indians. He was appointed to the National Advisory Council on Indian Education by President Obama, and he ran for state office in 2012. The Leelanau County allegations against Bailey involve two girls under the age of 13. Noelle Moeggenberg, chief assistant prosecutor in Grand Traverse County, says her office believes incidents happened in their county as well. She says the county may file charges as soon as this week. Bailey was set to stand trial in Leelanau County this week, but that’s been pushed to November. He could face life in prison. A tribal councilor in Leelanau County is accused of criminal sexual conduct. The charges against Derek Bailey involve girls under the age of 13. 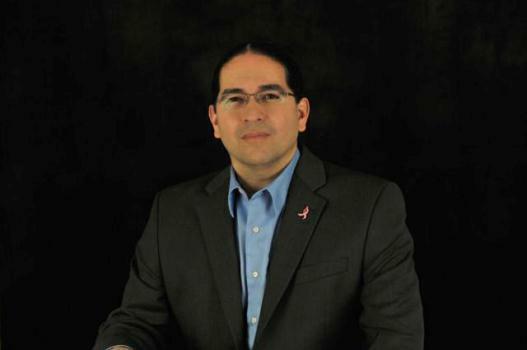 Bailey is a council member for the Grand Traverse Band of Ottawa and Chippewa Indians. He was formerly the chair of the council and also ran for state office in 2012. Now he faces five counts of criminal sexual conduct and the most serious charges, first degree, could get him a life sentence. Bailey’s attorney says he plans to plead not guilty. <p>UPDATED 2:45pm</p> <p><em><a href="mailto:stephanlj@interlochen.org">By Linda Stephan</a></em></p> <p>The chair of the Grand Traverse Band of Ottawa and Chippewa Indians is running for Congress. Derek Bailey is expected to make a formal announcement Saturday night in Traverse City. He also plans announcements in Escanaba and Sault Ste. Marie tomorrow.</p> <p>Bailey will launch his bid in the Democratic Primary for Michigan's 1st Congressional District. <p><em>By<a href="mailto:payettepc@interlochen.org"> Peter Payette</a></em><a href="mailto:payettepc@interlochen.org"> </a></p> <p>The chairman of the Grand Traverse Band of Ottawa and Chippewa Indians will end his run for the U.S. Congress. Instead Derek Bailey will set his sights on the Michigan House of Representatives.</p> <p>Bailey says he would need to raise more than a million dollars to run for Congress.